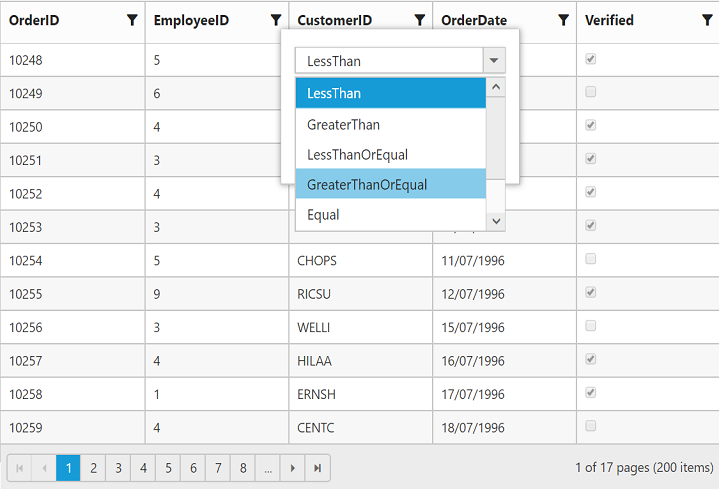 Using columns.filterType property we can render the excel and menu filter dialog to the columns of same grid. 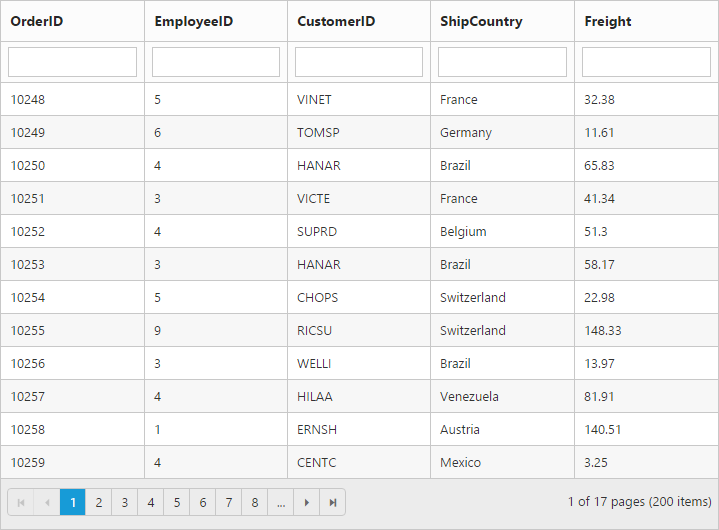 It works when grid is in either menu or excel filter mode. 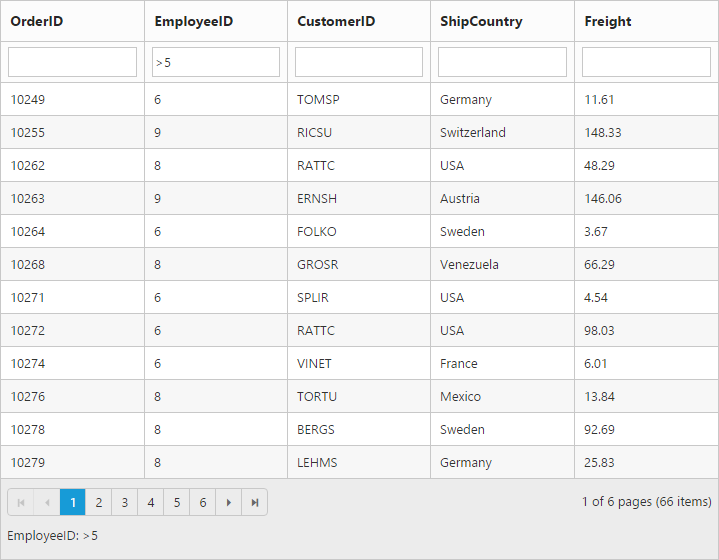 To filter the grid at initial load use filterSettings.filteredColumns property. 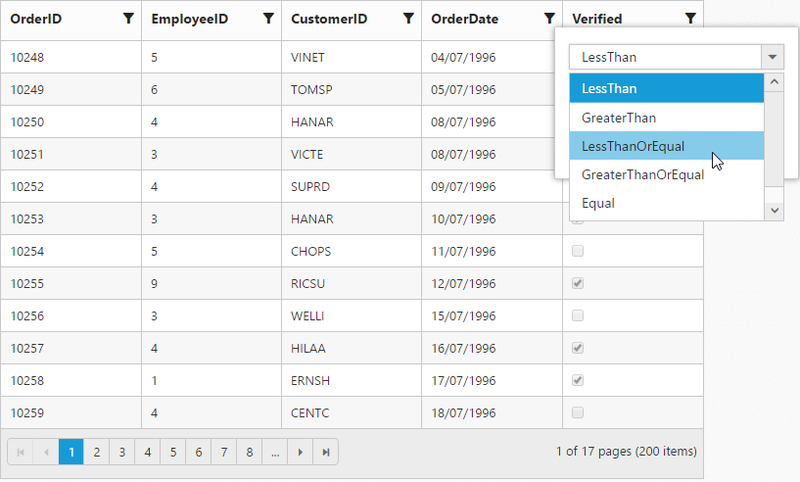 And also we need to define the following parameters while filtering through filterSettings.filteredColumns property. You can enable menu filter by setting filterSettings.filterType as menu. 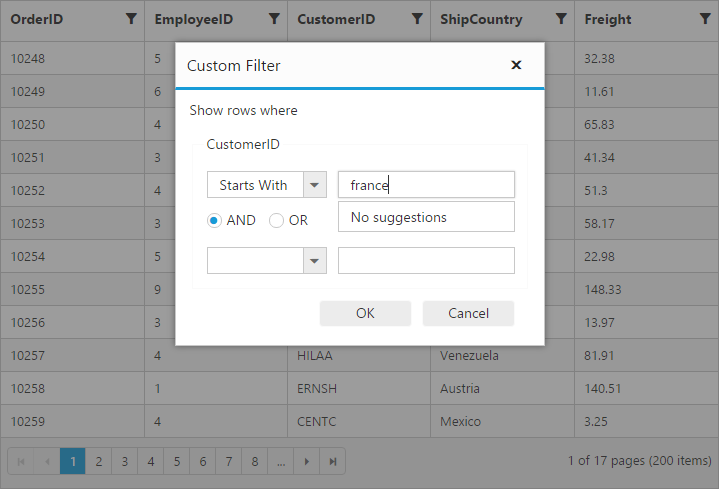 There is an option to show or hide the additional filter options in the menu by setting filterSettings.showPredicate as true or false respectively. 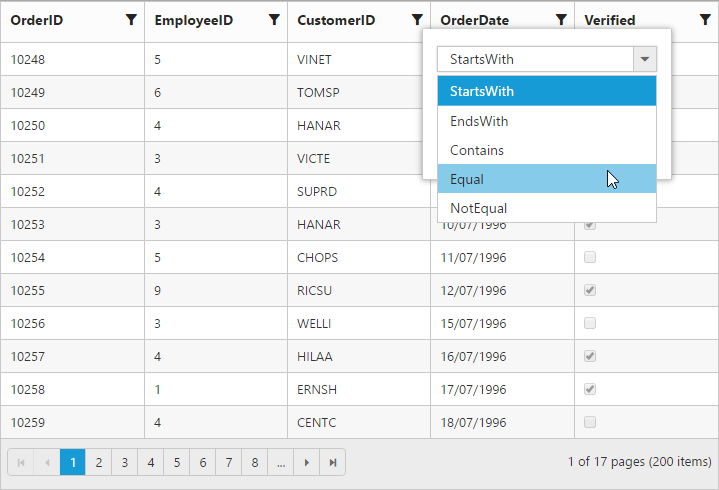 We can also filter a specified range of values by using the between operator for the column type number, date and datetime. We can disable the interDeterminate state of checkbox in excel filter dialog by setting filterSettings.enableInterDeterminateState as false. 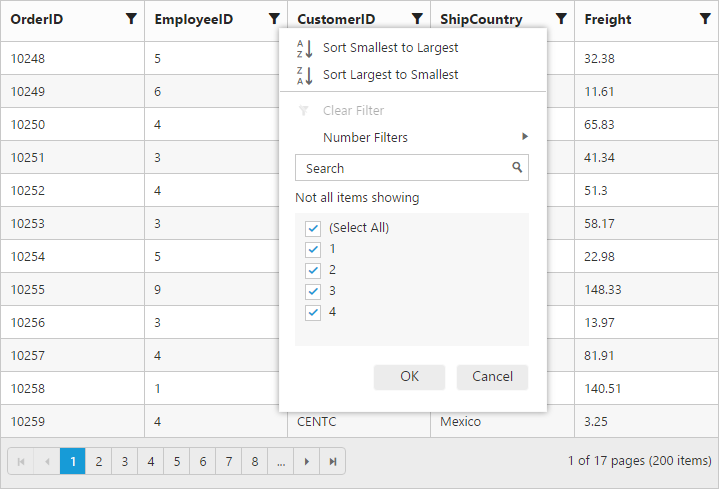 Also on checkbox list generation, if the number of distinct values are greater than 1000, then the excel filter will display only first 1000 values and show “Not all items shown” label to ensure the best performance on rendering and searching. 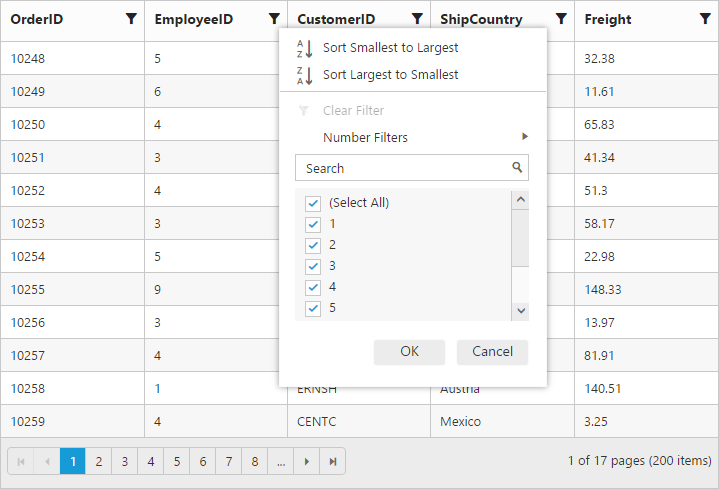 However this limit has been customized according to your requirement by setting filterSettings.maxFilterChoices with required limit in integer. To perform the external filtering use filterColumn method. To modify the delay, which filters the grid after entering the value in filterbar immediate mode, use immediateModeDelay property. The filter bar message is supported only for the filterType as filterbar. 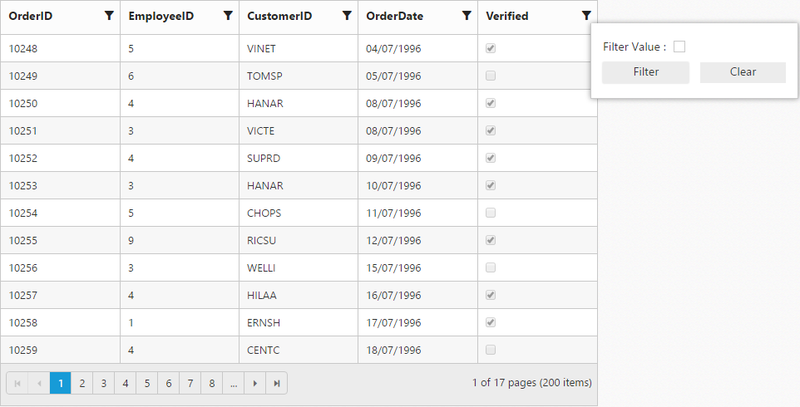 The filtered data with column name is displayed in the grid pager itself. By default showFilterBarStatus is true. Usually enabling allowFiltering, will create default textbox in Grid FilterBar. 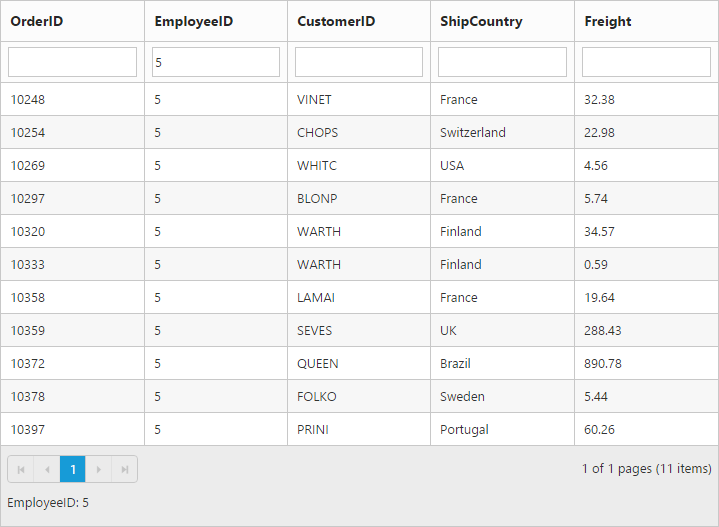 So, Using filterBarTemplate property of columns we can render any other controls like AutoComplete, DropDownList etc in filterbar to filter the grid data for the particular column.